Charly "Carlos" Palmer was born June 29, 1960 in Fayette, Alabama and raised in Milwaukee, Wisconsin. 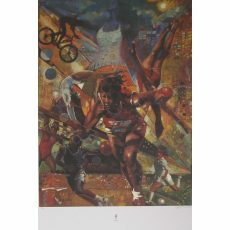 Since 1981, he has made a career of Graphic Design and Illustration. In 1992, along with his partner, he moved to Stone Mountain, Georgia and opened a design illustration Studio called TP Design, Inc. In four short years, their studio had been featured in more than twenty different publications. The studio is celebrating its tenth year in business with a “who's who” list of clients that includes Coca-Cola, IBM, Pepsi, Disney, McDonald's and General Mills. 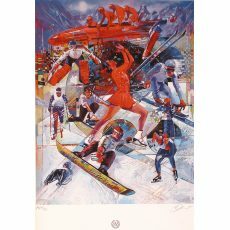 In 1996, he was commissioned to create a summer Olympic poster for Atlanta and in 1998, a winter Olympic poster for Japan. 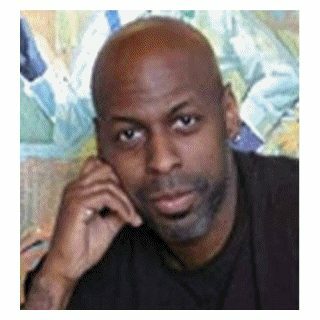 His work has been featured on the television show "Living Single" and in many publications such as Essence, Ebony, and Upscale magazines. Also, four of Palmer’s images featured as part of Hallmark cards ‘Mahogany’ series. Throughout his commercial success, Charly continues to pursue his fine art dreams. Created with acrylic and marbleized papers on board, Palmer remarks of his paintings: "What makes my work unique is not what I'm saying, but how I'm saying it. Trademarks of my art are the circles and hidden messages throughout the piece. What I have also discovered is that my work is most successful when I allow the experience to happen, and try not to control it." In his efforts to explore abstract expressionism, his alter ego, Carlos (‘Charly’ in Spanish) emerges. Carlos’s work is very free and is created spontaneously, rather than planned, like his alter ego. Influenced by the Shona art of Zimbabwe and the colorful murals of Mexico, Carlos’s work is painted on various surfaces such as wood panel, canvas, and watercolor paper. Charly/Carlos continues to push the envelope of his own personal style while he discovers new ways of delivering timeless messages. His work can be viewed currently at Mason Murer Fine Art, Atlanta GA.